The conductor and artistic director of the Wiener Akademie, has been a visiting conductor with several famous orchestras and has played an important role as an organist, harpsichordist and ensemble director in the international scene. As a professor, he also teaches at the University for Music and Performing Arts Vienna. Moreover, Martin Haselböck has been the artistic director of the Austrian Baroque Academy since its formation. Conductor Martin Haselböck studied harpsichord, organ, composition and conducting in Vienna and Paris. After establishing himself as a winner of numerous organ prizes and competitions, he embarked on an international solo career. His concert schedule regularly takes him to the major music festivals and symphony orchestras where he has performed as soloist with conductors Claudio Abbado, Loren Maazel, Wolfgang Sawallisch and Riccardo Muti. Martin Haselböck has become a recognized recording artist as well. He has made over sixty recordings ranging in repertoire from Bach to Liszt to contemporary composers. He is regularly invited by living composers to premiere their works. Ernst Krenek dedicated both of his Organ Concerti to Martin Haselböck. In 1985 Martin Haselböck became Music Director of the Vienna Academy Orchestra. Since that time, this ‘period instrument’ orchestra has established a regular series of Viennese classical music concerts at the Vienna Musikverein. His Orchestra is a regular guest at major festivals, "Artist in Residence" at the Cologne Philharmonic hall and the Würzburg Mozart Festival and performs frequently in the great concert halls throughout Europe, Japan and North America. Martin Haselböck’s musical interests are not, however, confined to early music. He regularly conducts and records operatic literature. Following his opera debut at the Göttingen Händel Festival, Mr. Haselböck conducted most of the Mozart operas in Germany, Switzerland, Holland, and Spain. In Prague, his performance of "Don Giovanni" was recorded live for the Novalis label. His successful 2001 production of Handel’s "Radamisto" at the Salzburg Festival has been invited to Spain, France, Germany, Holland, Israel, Russia and Istanbul. As conductor of the Wiener Akademie, Martin Haselböck has recorded more than forty CDs representing the music of J.S. Bach: the Brandenburg Concerti and Orchestra Suites; Mozart: "Don Giovanni", the Masses and Symphonies; Haydn: "The Creation" and "The Seasons" and Schubert: complete Masses and Symphonies. Martin Haselböck’s latest recordings include a series of 10 CDs titled "Musica Imperialis" commemorating 500 years of Vienna Court Music. His involvement in the rediscovery of the famous Berlin Singakademie Archives in Kiev resulted in 2001 in the first recording of major pieces by C.P.E. Bach, W. F. Bach, Graun and Benda. 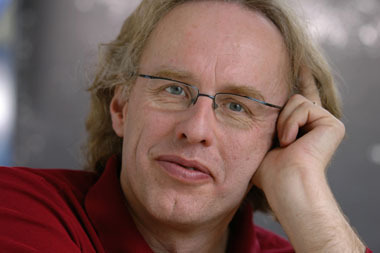 The recordings of Martin Haselböck have received numerous awards, including the 1986 Liszt Award, the Diapason d’Or and the Deutscher Schallplattenpreis. In 1997 he was awarded the highest Austrian Cultural Award by the State President, and in 2003 he was awarded an honorary Doctor of Music by Luther College in Iowa. Martin Haselböck continues to perform regularly as a solo artist. He has given inaugural concerts for concert hall organs in Nagoya, Heidelberg, Kobe, Athens, Lübeck and Treviso and has been adjudicating the major organ competitions (Paris, Chartres, Dallas, Pretoria, and Calgary). He holds the titles of Vienna Court Organist and Professor of Organ at the University of Vienna. He also heads several music festivals including the "Austria Baroque Academy" For the 2000/01 season, Martin Haselböck was musical director of the Vienna Schauspielhaus conducting new productions of Handel’s "Acis and Galathea", Gassmann’s "La Contessina" and Haydn’s "Die Feuerbrunst". Equally at home with period- and modern-instrument orchestras, Martin Haselböck is frequently invited to conduct major European orchestras such as Berlin (Deutsches Sinfonieorchester), Dresden, Leipzig, Zürich, the national Philharmonic Orchestras of Hungary, Slovakia, Estonia, Slovenia, Croatia, Spain, Prague (Prague Symphony and Prague Philharmonic), and Brussels (Royal Philharmonic of Flanders). His longstanding relationship with the Vienna Symphony has led to a series of oratorio performances that began in 1999; and since 2000, Mr. Haselböck has been Principal Guest Conductor of the Hamburger Symphoniker. Following his North American Debut conducting Bach’s "B-Minor-Mass" in Seattle in 2000, Martin Haselböck has been repeatedly invited to conduct major American orchestras such as the Pittsburgh Symphony, the St. Paul Chamber Orchestra and San Francisco’s Philharmonia Baroque, the San Francisco Symphony Orchestra and the Philadelphia Orchestra. In 2001 Martin Haselböck made his debut concerts with the Los Angeles Philharmonic at Hollywood Bowl, the Detroit Symphony, the Toronto Symphony and returned to Pittsburgh. Martin Haselböck has recently been appointed Music Director of the Baroque orchestra Musica Angelica in Los Angeles. He conducts on a regular basis throughout major European festivals, such as productions of Handel’s "Il trionfo del tempo" for the Salzburg and the Bath Festival, a production of Mozart’s "Il re pastore" for the Vienna Klangbogen Festival and a series of 10 performances of Handel’s "Radamisto" and Benda’s "Il buon marito" in Salamanca, Bilbao, Istanbul, Tel Aviv and Amsterdam. The following year will bring a production of Mozart’s "Zaide" for the Schwetzingen Festival. His scheduled recordings include C.P.E. Bach’s St. Matthew Passion, Mozart’s "Il Re pastore", Handel’s Organ Concerti, Op. 4 with the Wiener Akademie, two Symphonies by Johann von Herbeck with the Hamburg Symphony and the complete Liszt Organ Works on historic instruments in East Germany. In the 2006/07 season Martin Haselböck will conduct two new productions at the Hambourg Opera ( Alcina by Handel) and at the Oper Köln/Germany (Arminio by Handel and La Cifra by Salieri), go on tour with the Matthew Passion/Bach in the USA and major venues in Europe, return to the San Francisco Symphony Orchestra return again to the Hamburg Opera with Radamisto by Handel.